Karen Fabiano has been an ERI fiduciary since 2010 and has led the company as President since 2014. She is a Certified Fiduciary, Guardian, and Conservator. Advocacy for vulnerable persons makes Karen’s work meaningful, especially protecting people from financial fraud, and giving voice to the values of persons who can’t speak for themselves. 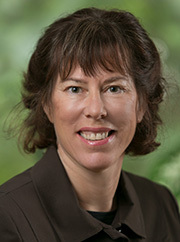 Karen previously worked for the Joint Budget Committee of the Arizona Legislature as a Senior Fiscal Analyst. Additionally, she owned and operated Gaia Home Renovations for 10 years, and was a foster-mom to youth with mental health challenges. She earned her Bachelor of Arts degree from U.C. San Diego in Cultural Anthropology (focus in cross-cultural psychology) and a Master of Public Affairs degree from U. Texas Austin (focus in fiscal administration). Outside the office, Karen devotes many hours to the practice and teaching of Aikido at the Oregon Ki Society. She also enjoys whitewater kayaking, hiking, and backcountry skiing–all with her two dogs along for the fun; and she serves as a Eucharistic minister. Karen is a member of the National Guardianship Association and she is available as a speaker on guardianship, conservatorship, and advance planning. Giselle joined ElderCare Resources in 2014. She is a Professional Fiduciary and a Certified Dementia Practitioner. 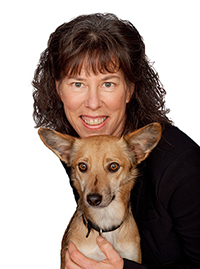 Giselle serves as Guardian, Conservator, Trustee, Personal Representative and care manager. She is a Notary Public, too. Being a family caregiver at a young age helped Giselle learn compassion, patience, kindness and encouragement. She has a special talent for relating well to people and for explaining complex health matters so that they can be easily understood. Giselle has more than ten years’ experience in health care. She has worked as a patient advocate, wellness coordinator, and in-home staffing coordinator, and certified medical assistant. 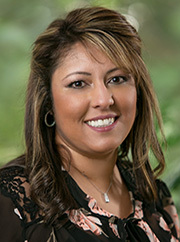 Giselle has an Associates in HealthCare Administration from the University of Phoenix. Outside the office, Giselle enjoys spending time with her family, being outdoors and working with the high school dance team. A New York native, Ron has called Oregon home since 2005 and spent a large part of his adult life helping people as a CNA. 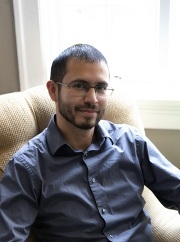 With a degree in Paralegal Studies, Ron has solid footing in both the legal and human side of ElderCare Resources. As a father, he understands the burden of caring for someone else who depends on him to make the right choices. An avid hiker and photographer, you may spot him along the trails or see some of his work at the fairs or local galleries. Amber has lived in Lane County since 2008, raising her three young children here. She has been an advocate for civil rights causes, and persons with disabilities for the last 8 years. Amber has over 19 years of management background in industries such as retail, healthcare, and non-profit law. 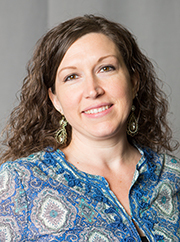 Amber has a Master’s Degree in Health Care Administration and Project Management and a Bachelor’s Degree in Sociology and Business Administration. She volunteers as the Treasurer for her son’s Cub Scout Pack, and as the Secretary for the National MPS Society. Amber is incredibly detail-oriented and is happy to make systems that work for a variety of situations. She enjoys cake making and gardening. Jackie was raised in a Navy family which exposed her to different regions of the U.S., Canada, and Puerto Rico. Married, Jackie has lived and worked in the Eugene area for over 20 years. 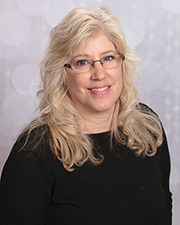 Jackie has a degree in Human Services with a focus on Adult Development and Aging. She specializes in Transplants and Veteran Affairs. Her prior work experience includes customer service, research, and problem resolution. Jackie volunteers for Donate Life NW and the Association of NW Steelheaders as a Board member. She enjoys fishing, reading, sewing, traveling, and playing with her granddaughter. Schedule your consultation or assessment today! "It fills my heart with joy, and great pride, to refer to ElderCare Resources. You are the best! Twenty five years ago, when we founded ERI (on Labor Day! ), I'm not sure we could have envisioned what a tremendous resource "we" could be, and would become. To see that elusive dream realized, and ongoing, is (as they say) "priceless." Thank you, everyone, for all you are doing, for all you are giving, for all you are helping. I am so very proud of ElderCare!!!" Jessica is our company mascot and loves to perform tricks when visiting with Karen at care communities or wherever dogs are welcome. Also, our staff members "foster" pets for our clients in urgent situations. Give us a call or visit our FAQs page! © Copyright ElderCare Resources, Inc. All Rights Reserved.